Meet Julie Dawn Fox, your outsider on the inside. 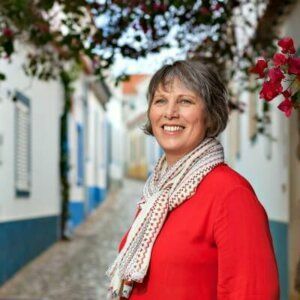 Award-winning Portugal blogger and contributor to DK EyeWitness Travel Guides to Lisbon, Portugal and Europe plus publications like the Huffington Post and Ritz-Carlton Magazine. Originally from the UK, I lived in several countries including Spain, Tanzania and Venezuela and travelled to over 30 others before making Portugal my home in 2007. After moving to Coimbra in Central Portugal I quickly fell in love in more ways than one. I met Mike, who is now my husband, adopted a dog and put down roots in a tiny village in central Portugal. Finally settled in a place I adore, my wanderlust and curiosity remained so I began exploring Portugal in earnest. Over the past 10 years, I’ve spent time exploring every region in Portugal, although I am forever adding to my wish list. Much as I enjoy Portuguese cities, I get a real kick from searching out the hidden treasures and try to avoid touristy places and experiences. I much prefer the traditional hillside villages of ancient stone cottages, medieval towns with fascinating histories and crumbling castles, walking trails through unspoilt countryside and wild swimming at river beaches. I’ve spent countless days and weeks researching destinations and logistics and creating itineraries for travelling alone or with my husband, relatives and friends as well as for my clients and readers. In doing so, I quickly realised how tricky it can be to find reliable, practical information. Sharing my findings on my blog is my way of making it easier for you to get off-the-beaten-track in Portugal. Thanks for your wonderfully informative website on Portugal. My husband and I just arrived back in Australia after having spent 3 weeks in Portugal. And it was a fabulous! A mix of National Parks, cities, small villages, mountains and the ocean. A highlight was staying in the Peneda Geres National Park at Pitoes das Junias for 2 nights and Braga which was very beautiful. 5 nights in the Douro Valley – absolutely wonderful. Aveiro – loved the painted houses at Costa Nova. Life was great at the beach at Barra. Piodao and Foz d’Egua – wonderful scenery to interesting locations. Sortelha – the castle and preserved medieval village – another highlight. When I began sharing my Portugal experiences on my blog and writing about Portugal for other publications back in 2011, my trips gained purpose. I made detailed notes, learned how to take better photos and researched history and facts so that I could be confident that the information I was sharing was accurate and up to date at the time of publication. I published my first ebook, Money Saving Tips For Travel In Portugal in 2015 and have contributed to other major guidebooks such as the DK EyeWitness Travel Guides to Lisbon, Portugal and Europe and been contracted to write destination pieces and itineraries for various print and online publications. I’ve also created a self-guided walking tour of Porto and a GPS audio guided tour of Lisbon. Over the years, I’ve got to know the country, its people, food and customs well and am on a constant quest to learn more. Some of my Portuguese readers say I know their country better than they do! 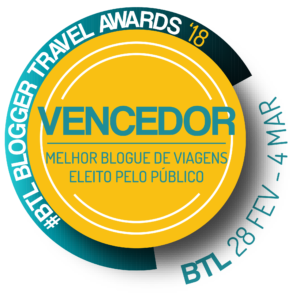 In 2018, my blog was voted Best Travel Blog in Portugal in the annual BTL travel blogging awards. Portugal has so much to offer beyond the obvious tourist destinations and I want to encourage you to see for yourself what makes it special. That doesn’t mean I’m going to wax lyrical about unworthy experiences. I take a “tell it like it is” approach so while I don’t go out of my way to find fault or focus on negatives, my aim is to be candid with you. My reputation is at stake here, too! Most of my experiences have been fun and rewarding although there have been disappointments and mistakes along the way. I’ve learned from these and can help you avoid wasting your precious time when planning a trip to Portugal. If you need one-to-one support with your Portugal itinerary, I can help. I know which places are worth visiting and which could be skipped if time is limited. My understanding of the logistics involved in getting from A to B can lead to a more efficient itinerary. Why waste time in transit when you could be enjoying spectacular views or exploring a charming old town? If you’re looking for a special place to stay, a cosy restaurant for a romantic meal or a winery with the personal touch, chances are I can recommend the perfect spot. As well as the 300+ articles and other resources on my blog, I’ve amassed a vast library of information about travel in Portugal. I’ve also built a network of contacts in the tourism sector in Portugal so I know who to ask for help or advice, in English or Portuguese. If you can’t find the information you’re looking for, I probably can. Subscribe to receive free tips and resources for exploring Portugal with confidence by email. My newsletters contain free insider travel tips, blog updates and information about relevant products, services and special offers. Almost done! Just one more essential step to complete. Please check your emails and confirm your subscription. If you can't see my email, make sure it hasn't gone into your spam folder.